Last week's clash between rivals Armwood and Plant was peppered with big hits, coaching creativity and success or failure in the red zone. There was something else, however, that proved critical: the big play. Hall had the biggest ones of all. The sophomore receiver finished with two catches for 119 yards, both going for touchdowns to help Armwood beat the Panthers 21-18. "Agiye is special," coach Evan Davis said. Armwood needed playmakers in the passing game after losing Warren Thompson (FSU) and Jerome Ford (Alabama) to graduation. There's still plenty of talented receivers on the roster, such as Northwestern commit Wayne Dennis Jr. and Division I-A prospect Ezeriah Anderson. But Hall added another dimension as a downfield threat. His long gainers are a thing of beauty. Hall needed just one game to show he is one of the toughest receivers to cover in the area. Against Sarasota Riverview in the kickoff classic, he had five catches for 185 yards and three touchdowns. At 6-foot-3, Hall is not only significantly bigger than most defensive backs, but faster as well, and covering him one-on-one is just asking to get burned. "Agiye has the body of Warren Thompson and the speed of Jerome Ford," Davis said. Still, there were some things Hall had to work on to gain the admiration of teammates and coaches. "He knows that he has some maturing to do to get better," Davis said of Hall. "He's buying into us. He blocked really well, and his home run plays are big." Those were on display against Plant as Hall grabbed the spotlight. "There was no safety over the top," Hall said. "I just got some separation and got my velocity going and made something happen for us." 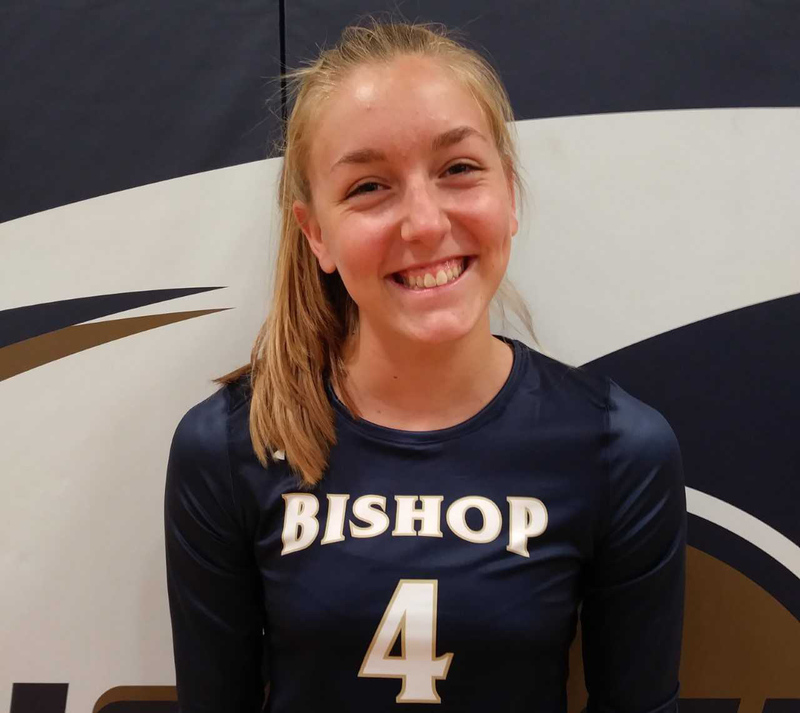 Sophomore Audrey Koenig has helped keep Bishop McLaughlin unbeaten this season. The sophomore played a key role in the Hurricanes' tournament win last weekend. They hosted Seffner Christian, Mitchell, Land O'Lakes and Lake Gibson, winning all four matches to improve to 7-0. Koenig had a total of 34 kills in nine games played. "She's the real deal," coach Douglas Chinchar said. "I think she is the best, hands down, outside hitter in the state." Koenig is already committed to Wake Forest. She is now in her second season as a starter. Last year she got to play with her older sister, Gabriella, for the first time since they were under-12 teammates on a club team. Gabriella is now a junior. "It's been very interesting," Audrey said. "We're on the opposite side this year so we're on the court together more. It's been fun." One of the main reasons for Bishop McLaughlin's improvement has been the addition of three players. Jessica Angelo transferred from Palm Harbor University for her senior year. Sophomore setter Alexandra Postlethwaite and junior setter Terah Nejman are also new to the team. That makes the Hurricanes a favorite in Class 3A, District 4 and they have a good chance to go deep in the playoffs. "I think our team is way better this year," Koenig said. "Our two new setters have been big. I played with (Postlethwaite) before so it hasn't taken much time to get used to it."